Move in Spring - Come see our popular Rockwell floor-plan on lot that backs to open space! Front and backyard landscaping is included! The elegant two story living room and open kitchen with sophisticated finishes make this home a must-see! This home comes with air conditioning, large pantry and much more. What a delightful home! This home is a rare opportunity in this desirable neighborhood! Brand new pool/venture center will be completed by the opening of the 2019 pool season. A brand new 27J K-5 Elementary school is also being built with a scheduled completion of 2020. 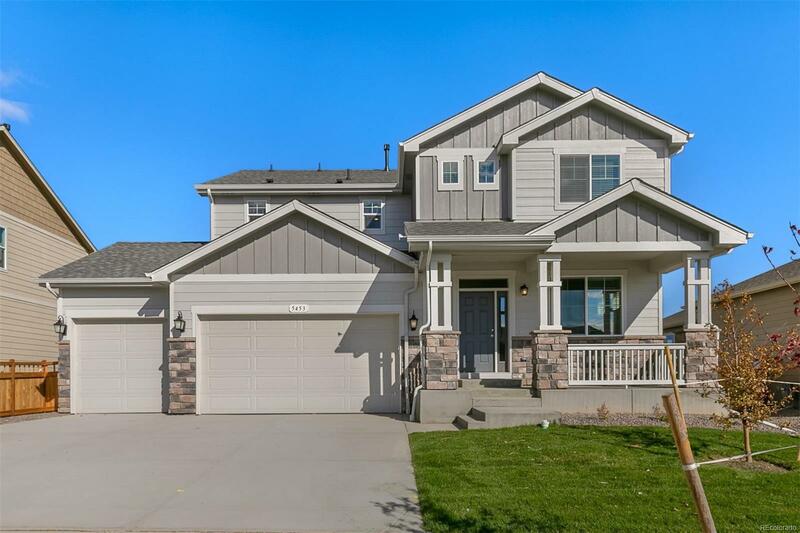 So many new great things coming to Brighton Crossing - Be sure to stop by DRHorton and get all the details. Builder 2-10 limited warranty. Photos are representative, not of actual home.